Jio Pack Free 2GB 4G Data Per Day Offer is Back Once Again; to Check on MyJio App? 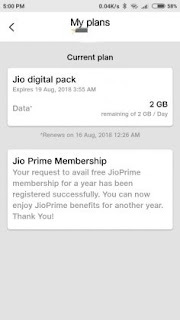 A few days ago, Reliance Jio introduced Jio digital pack that offered 2GB additional 4G data per day for free. The offer was supposed to end by August 14 though, in the latest development, the telecom operator has extended the validity till August 19. Under the Jio digital pack, subscribers get 2GB of additional 4G data per day free of cost. The offer comes as a top-up plan on an already recharged data plan. So, with the unlimited calling, data pack and SMS benefits you get to have an additional 2GB daily data for the same amount. The offer is available via My Jio app. However, it is only available for select customers. The offer was expected to lose validity on 14 August, but now it expires on August 19, as mentioned in the app. You can check it in your My Jio app under your plans, as shown in the image. The Jio Digital Pack is also valid even if you do not have any pre-existing base plan. The offer is only available for Reliance Jio prepaid customers. You can only avail the offer if you are already a subscriber to a recharge. There is no information on the user selection criteria for the extended offer. You can just consider yourself lucky if you get the offer, which now comes with an extended validity. Reliance Jio always finds creative ways to release its digital and hardware offerings. Now that the second generation of its feature phone, Jio Phone 2 is on the way the Monsoon Hungama Offer is in full swing. This offer also brings an additional data and calling benefits plan in the form of the Jio delight pack. Under Rs. 594 recharge plan the users will get unlimited voice and data benefits for six months at the time of activation of their Jio SIM. Apart from this, the users that got their JioPhone in Monsoon Hungama exchange offer will also get a special exchange bonus of 6GB data voucher, worth Rs. 101 which adds up to a total of 90GB data for a period of 6 months. If you have got your Jio Phone under the Monsoon Hungama offer you will need to buy a Reliance Jio prepaid recharge plan worth Rs. 594. Speaking of the Monsoon Hungama Offer, if you are looking to buy Reliance’s very first feature phone, you can buy it under this offer with an effective price of Rs. 501. You will need to exchange your old feature phone (any brand) along with a security deposit of Rs. 501 to get a brand new Jio Phone. The security deposit is 100 percent refundable and you claim this amount at the end of three years. The old phone that is being exchanged must be in working condition and has a charger. 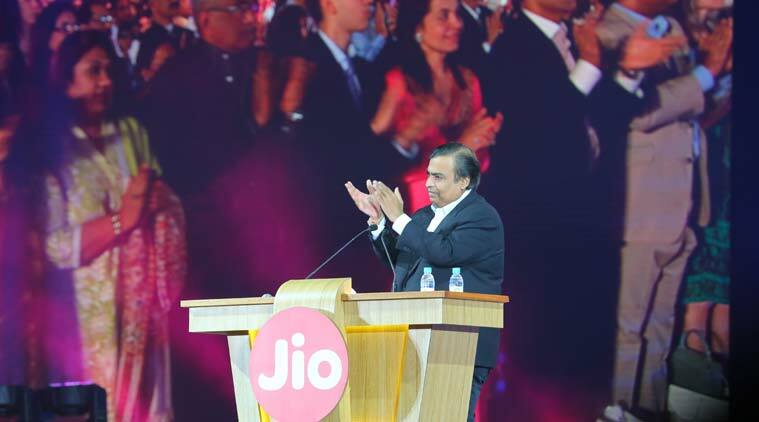 Telecom giant Reliance Jio has finally launched its next feature phone announced at its RIL’s 41st Annual General Meeting in Mumbai and will go on sale from on August 16. The device comes with an introductory price of Rs. 2,999. Besides introducing Jio Phone 2, Jio GigaFiber and other gadgets, Reliance Jio made major announcements in the same event registrations opened on the website. Mukesh Ambani also mentioned that Reliance has become the largest recycler of PET bottles in India. In a statement, he said,“We have produced the largest amount of globally efficient ethylene cracker in the Jamnagar unit. We are also adding composites and carbon fiber in our product portfolio. 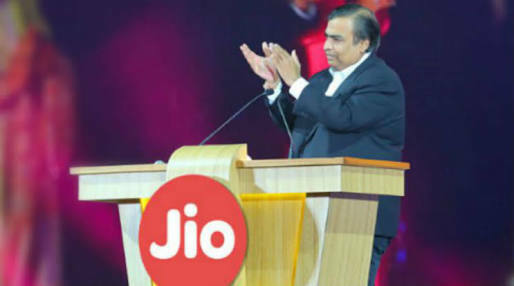 This makes RIL the most diversified company in the country.” Earlier last month, the company also announced the acquisition of a US-based company to pump up its attempts in IoT (Internet of Things) domain and 5G technology. Reliance Jio has come way too far in the telecom journey since its launch. The telecom operator has a huge subscriber base and is one of the most popular network choices of India users. Let’s see how the company handles the IoT department.